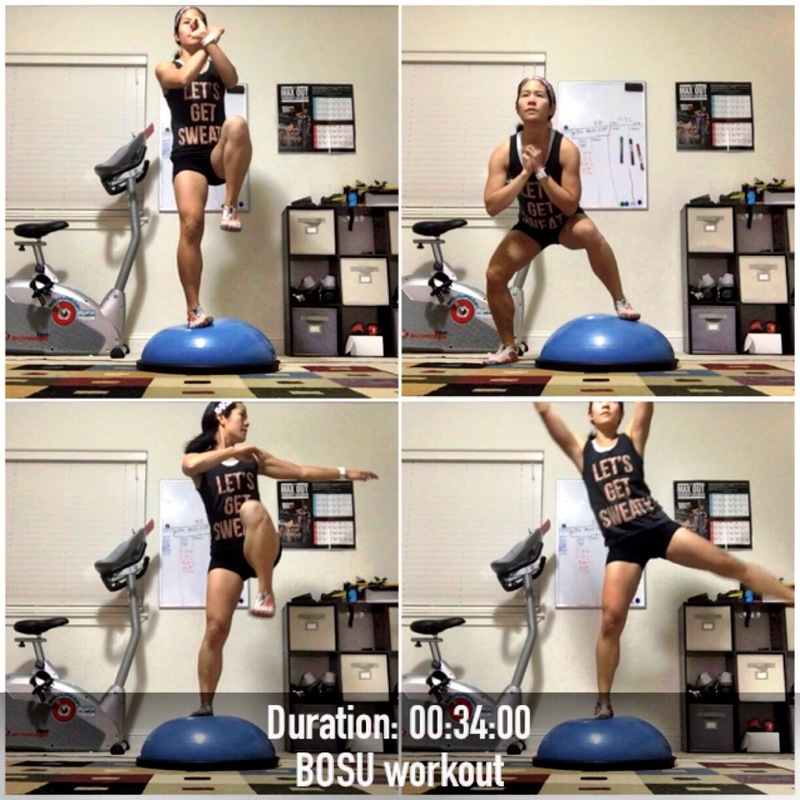 Monday – I tried the BOSU workout, Calorie Combustion which led to a great sweat. Chalene Johnson was in this one too. Tuesday – Ran 3.5 morning miles. 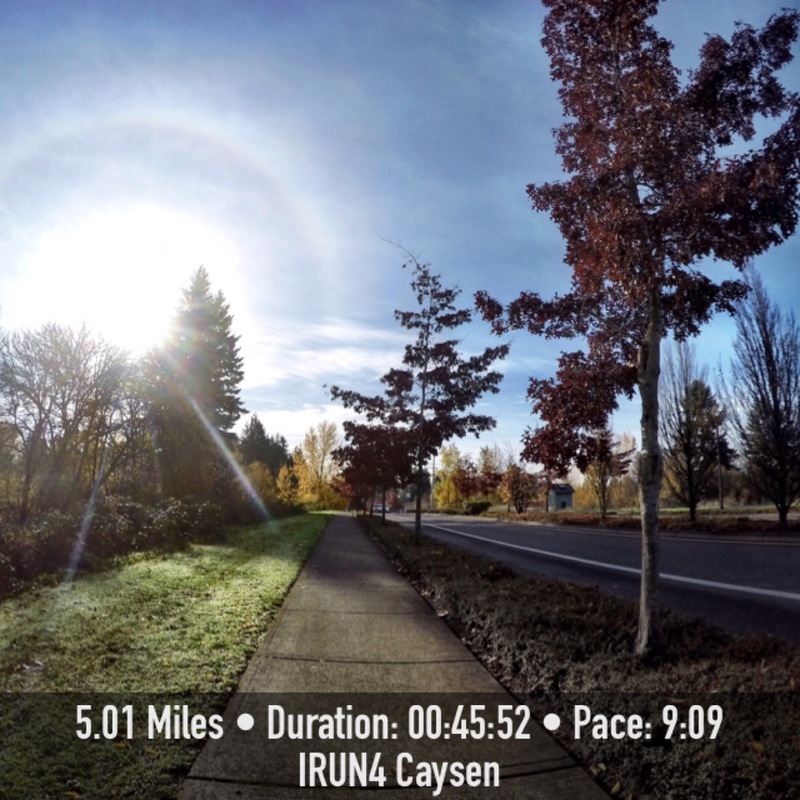 Wednesday – Got a nice 6 miler in while the kiddos were in school. Thursday – 2 miles on the treadmill. This was the day when I started feeling really sick with a cold. Friday – Ran a nice 5 miles. Felt better. Saturday – Ran 6 miles on the treadmill. It’s been a coughing for me week. My voice sounds like it’s kind of gone, but other than that I feel fine now. I’m still hoping to get my 100 miles for the month. I’m also planning on doing the #RWRunStreak again. The goal is simple: Run at least one mile per day, every day, starting on Thanksgiving Day (Thursday, November 26) and ending on New Year’s Day (Friday, January 1). That’s 37 consecutive days of running. Who else is in? How’d your week go? Happy Thanksgiving week! I have never participated in a run streak. I’m pretty sure I’d always want to run more than a mile after making myself get up and dressed. LOL. Then, I’d be in trouble for someone “my age”. When I’m healthy again, I’ll consider it – just so I can say I’ve tried it. I’m glad your sickness didn’t last long. My husband was sick last week and I thought for sure I’d get it. It looks like you still have pretty fall color in your neighborhood! I hope you enjoy your Thanksgiving Sherry and I appreciate you linking with us! I would do the RW Holiday Streak if it weren’t for my marathon coming up in less than two weeks. I started the RW Summer Streak from Memorial Day to the Fourth of July this past summer. I only lasted 17 days before getting the stomach bug. I may try it again this summer. Looks like you had a great week of running despite not feeling well. Good luck with the run streak! Have a Happy Thanksgiving! Thanks Debra! Good luck on your marathon!! Hope you join the summer runstreak! You are on fire! You look so strong and fit in your Bosu pics above. Your dedication is definitely paying off! I am sorry you weren’t feeling well and I know it’s not fun with the kiddos are sick as well. Good for you run streaking again. I am going to think about it this time. I’ve never been very consistent but maybe this would assure I hit my 1000 for the year. I am currently right on track, but last year I fell short. Thanks for telling us about it. Happy Thanksgiving to you and your family! Aww, thanks Diane! Hope you reach your 1000 miles for the year! You can do it! Have a happy Thanksgiving too! I’m planning on doing the run streak too! I started it last year, but wasn’t able to complete it, so hopefully I can this year! I’m impressed you got your runs in while you were not feeling well! Thanks! Hope you get to complete the runstreak this year! Wow, way to have such a strong week even though you were sick! I’m gonna try the run streak too. I’ve never done it before, but I’m excited to try. Glad you are feeling better! I might try the run streak, but it will be hard with Hubby away for a week and then traveling to Utah. We’ll see! You guys participating in the run streaks impress me so. I’m in the heart of marathon training so I think I need to stick to that along. But I’ll be your cheerleader. So glad you linked with us this week and I hope you have a wonderful Thanksgiving. Thanks Tricia! I’m happy that you and Holly have this wonderful link up! Hope you have a fantastic Thanksgiving too!